Whether you’ve got an important event coming up, you’ve come back from holiday to find piles of dirty laundry or your washing’s just gotten away from you, don’t panic! Our quick delivery service guarantees clean clothes in a time-saving manner. You won’t have to worry about them not arriving on time - our clients are the most crucial aspect of our business! 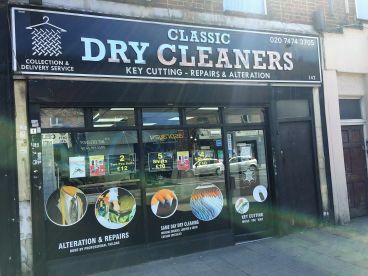 Our useful store is the best dry cleaner in London. We’re an accredited centre for dry cleaning and laundry services, created to meet all your needs: that’s why we make both contacting us and getting here straightforward. We’re a true centre of productive help in a busy town, so no matter your needs, just swing by or call us, and we’ll do everything in our power to help you. 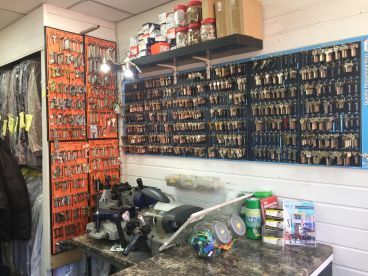 Welcome to our dry cleaner, where Dry Cleaners & Key Cutting want the best for your clothes! 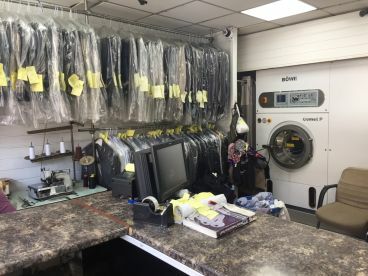 No matter the type of fabrics you need washing, from leathers to cotton, our professional dry cleaners have both the skills and the talent to provide a deep clean without harming your fabrics. We offer a large range of services to suit individual needs, so just pop by our store or give us a call today, we can guide you through the specific treatments and offer a no-obligation quote. Give us a go, you won’t regret it! I Like It It’s Very Good For Keys And Clothes Because They Do Their Job Very Well!!! I accept the Terms & Conditions and Privacy & Cookies Policy of UENI. I'm happy to receive relevant updates from UENI by email or SMS. Please note that Classic Dry Cleaners may not be able to honour booking requests made. Please note, your booking request will be subject to the merchant's booking conditions.